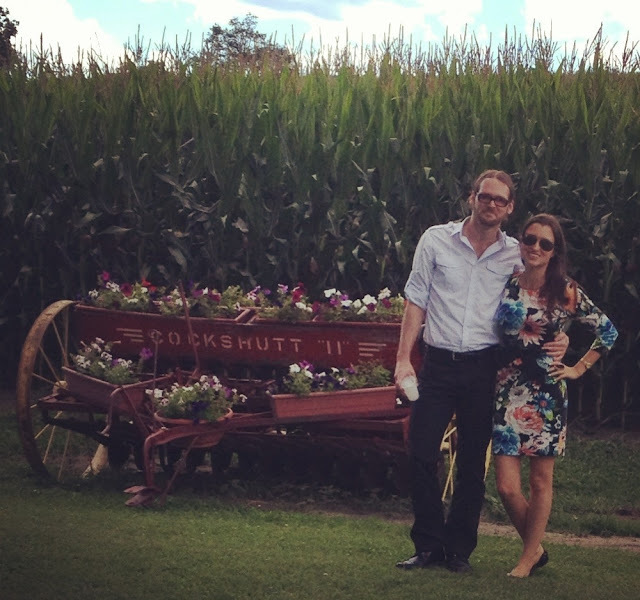 Not a lot to report today, the bf and I went up to his hometown of Peterborough this long weekend for a family wedding. The ceremony was held at the bride's family's farm, and everything was just stunning. 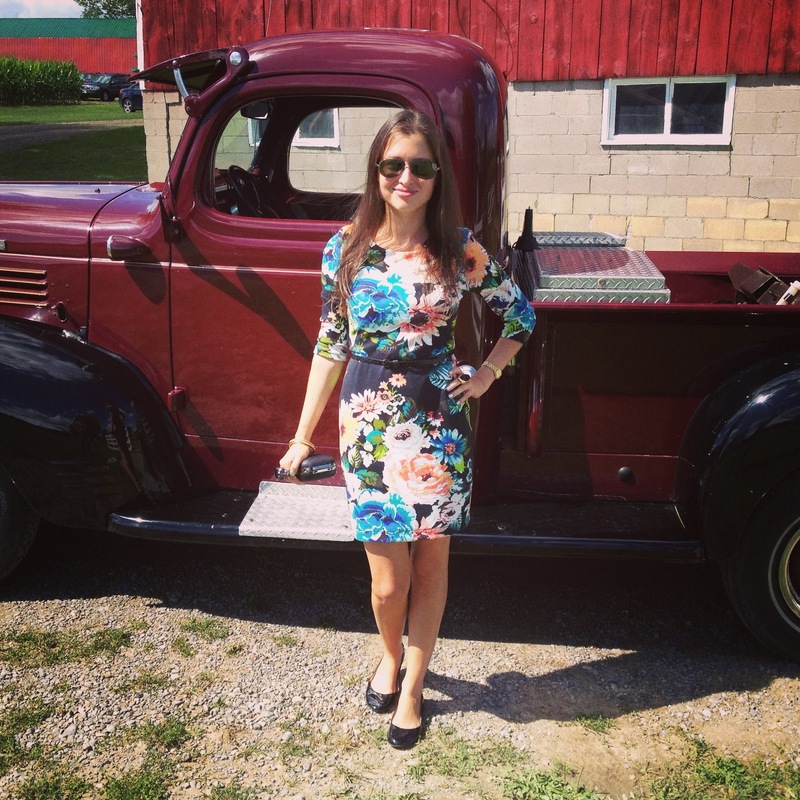 Nothing like a barn wedding to get your rustic chic on. Because of the outdoorsy-ness, I decided to forgo heels and wear basic comfy flats with this bright floral dress from H&M. I am absolutely in love with this dress, the bright colours just draw you in. A simple knuckle clutch completed the look and allowed me to dance the night away. So much fun!